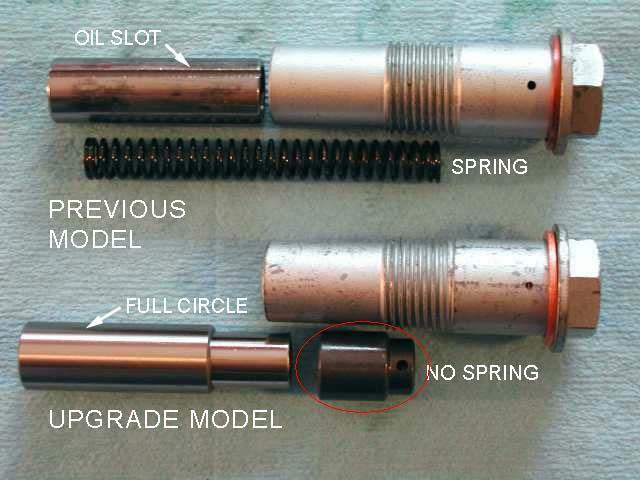 The photo of the old and new tensioner on the ADVrider site shows a fourth part new part they call the "smaller floating piston." Mark, why don't you show it in your photo or list it with on your parts list? Did you other guys install this part? Anyone have the part number of this smaller piston? Last edited by jgrm1; 12-31-2006 at 08:16 PM..